A walker was rescued after breaking her ankle on a Lakeland walk. The 60-year-old Australian woman was walking in Warnscale, Buttermere, when she slipped and suffered the injury. Cockermouth Mountain Rescue Team was called out about 1.15pm today and went to the scene. 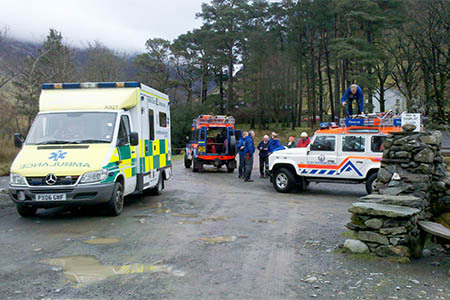 She was treated at the site by an ambulance paramedic and a team doctor before being stretchered to a waiting ambulance by Cockermouth MRT members. The rescue involved 12 volunteer members of the team.